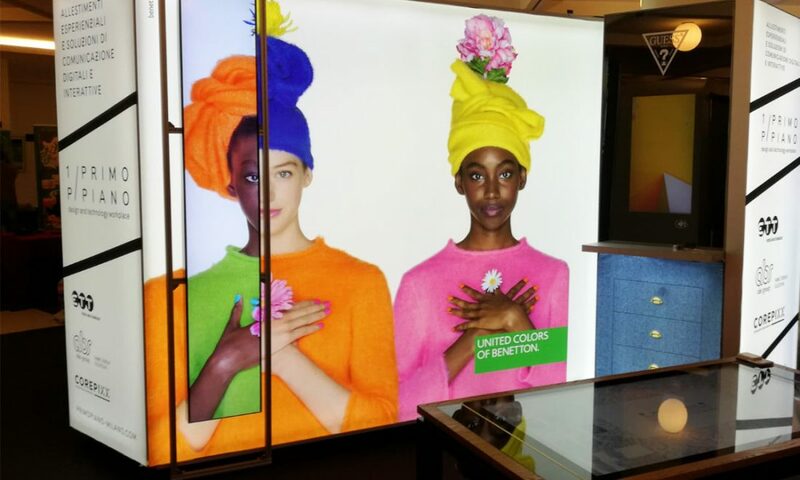 Aluminium and fabric back-lit wall with sliding monitor, created for Benetton brand. Thanks to a sensor placed on the back, the sliding module interacts with the behind lightbox and the user can discover new contents. That improves the communication as it allows to examine further information and it facilitates the involvement of clients and visitors in various commercial, business and exhibition environments.